Follow the words on the walls to sleep, imagine and dream. Unwind after a day at the beach or shopping in nearby boutiques in the large bathroom with a Jacuzzi tub and rain shower. Dream your ocean dreams in the queen sized bed covered in the ocean colors of green and blue. 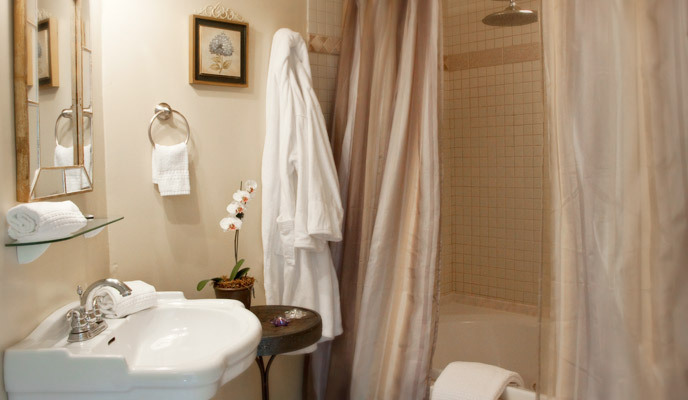 You’ll want to slip on one of our comfy robes enjoy a morning coffee in the cozy sunlit nook.